One of the most common features you'll add to your template is a custom property. The client's name throughout different sections. Click on Custom, and add a few properties. The property Value can be anything as long as it won't be flagged by Word's internal spellchecker. 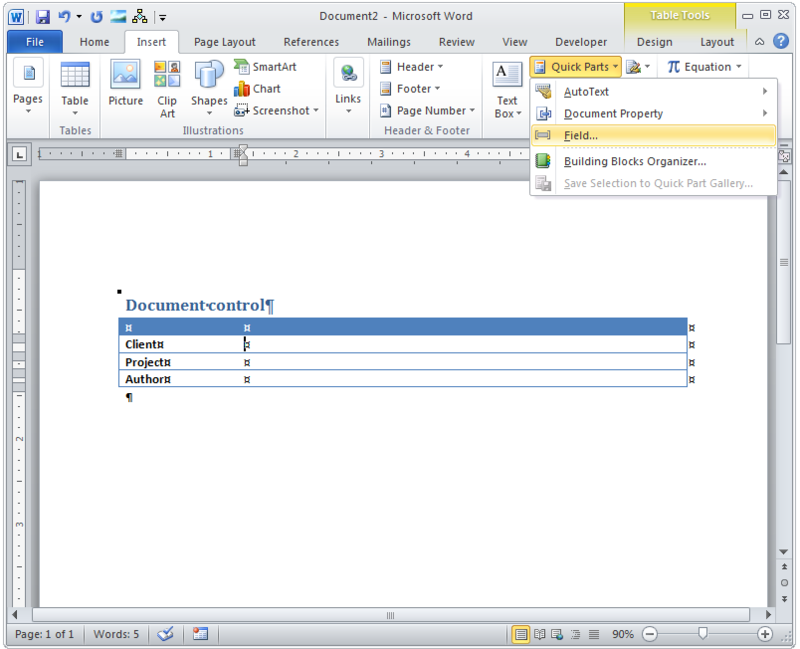 Now that your template has several custom properties in it, we can place insert them in different locations. 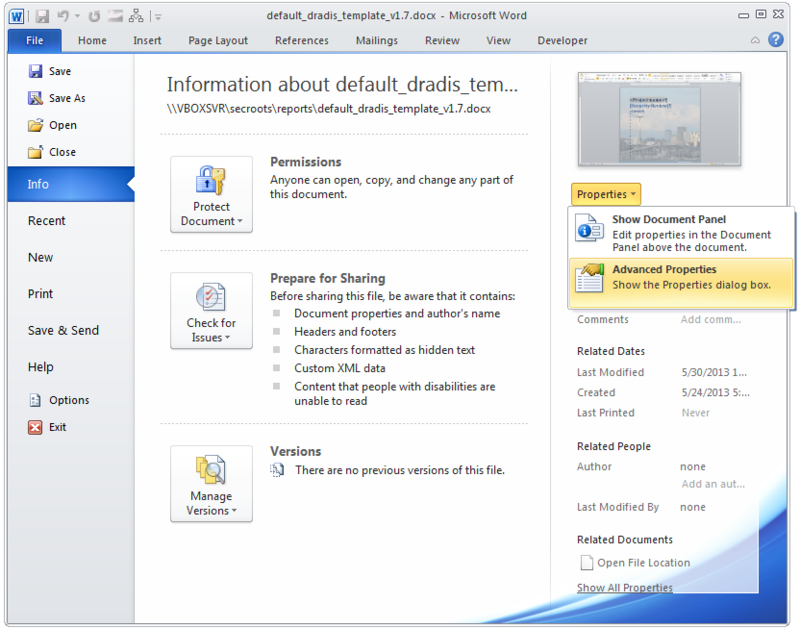 Lets start with dradis.client. 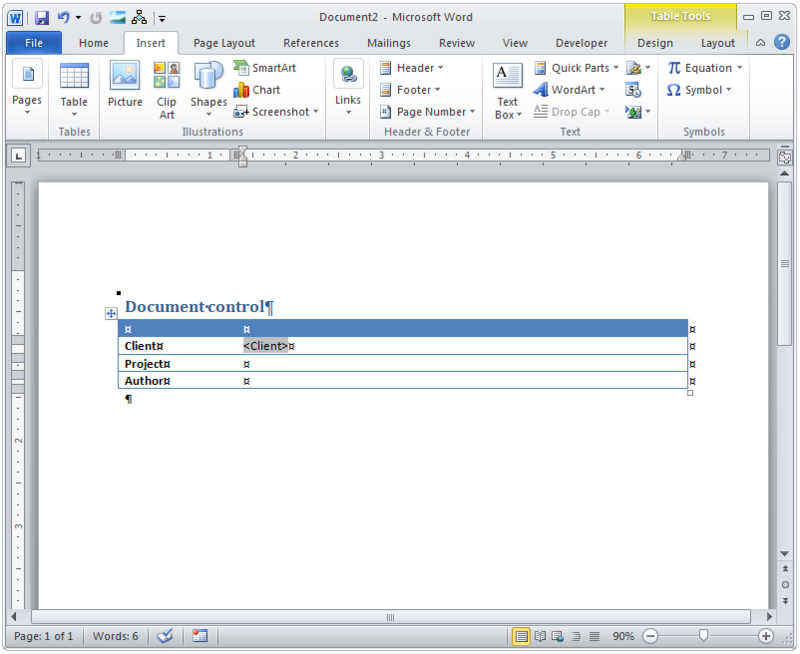 Navigate with the cursor to the cell where you want to insert it. 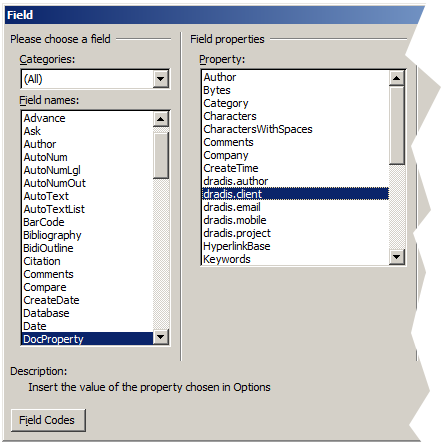 Under Field name, choose DocProperty. If the field is flagged as a spelling error with a red wavy line underneath, you're going to run into problems on export. If this happens, just change the Value of the field. For example, change "ClientCompanyName" to "Client Company Name" to avoid this problem. All the work on the template side of things is over. Lets move on to Dradis. 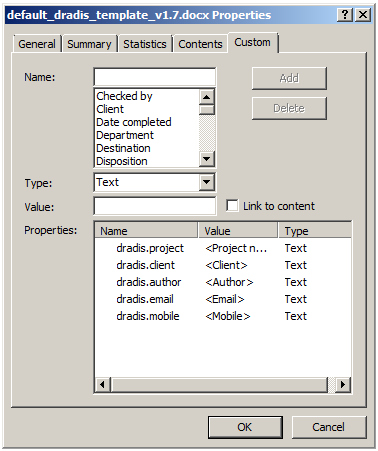 Custom document properties are stored in the Report content page of your Dradis project. 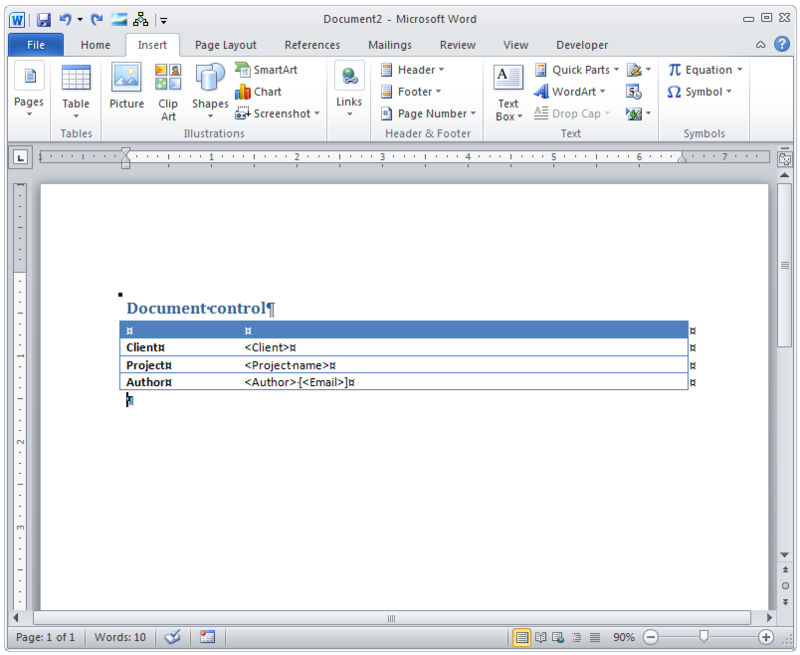 For more on how to add your document properties to your Project, check out the Report Content page of the Project guide. This option doesn't scale well to large reports. 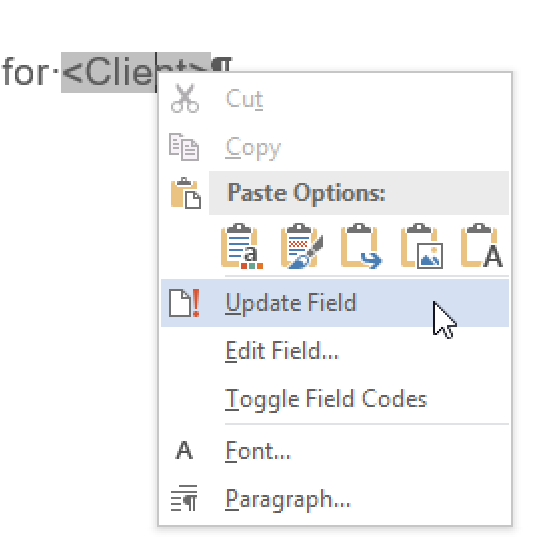 But, you can manually update fields by right-clicking on them and selecting Update Field as shown below. 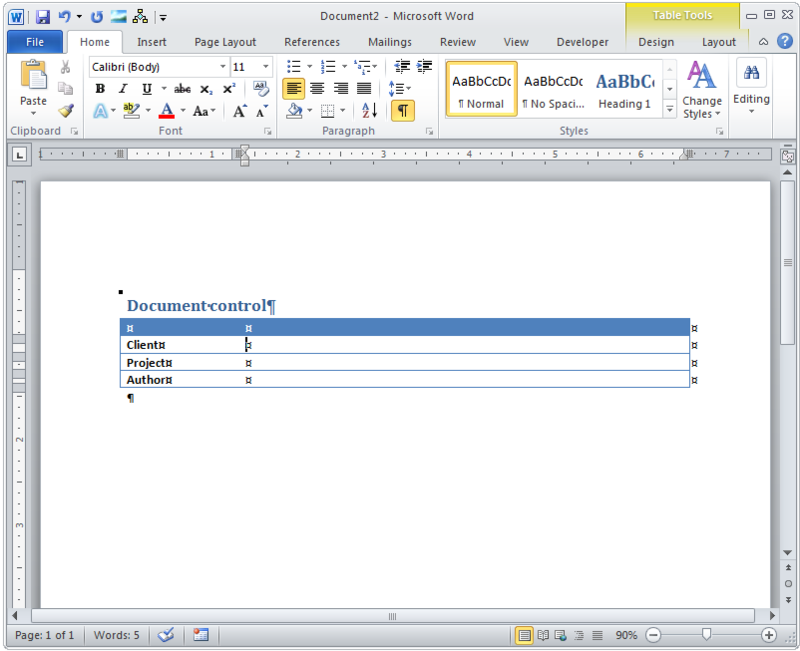 Open up your exported Word report, then use the following keyboard shortcuts to update all the fields. Note: if your document has fields within tables, headers, or footers, this method may not update them.